"Thanks for the great Mouthpieces you guys produce. Just got mine today and it's great!" 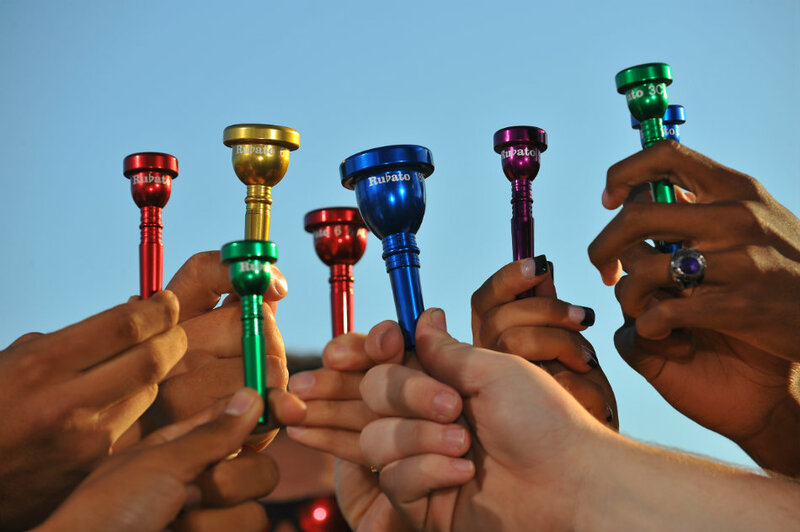 "In addition to the cool colors, my brass students are amazed at how easy it is to play the Rubato Mouthpieces." "I absolutely Love my Rubato Trumpet Mouthpieces. I hope you sell tons of them!" 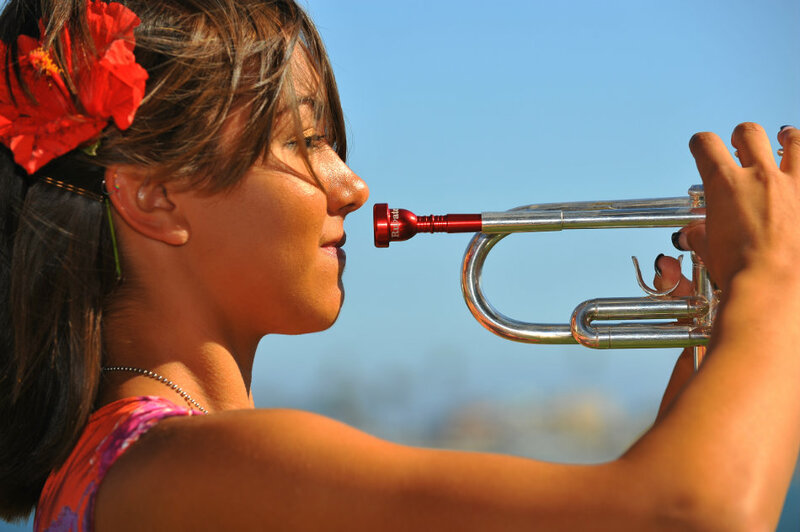 "The Rubato Trombone Mouthpiece solved my Silver Allergy Problem and looks Awesome! Thank You Rubato!!!" 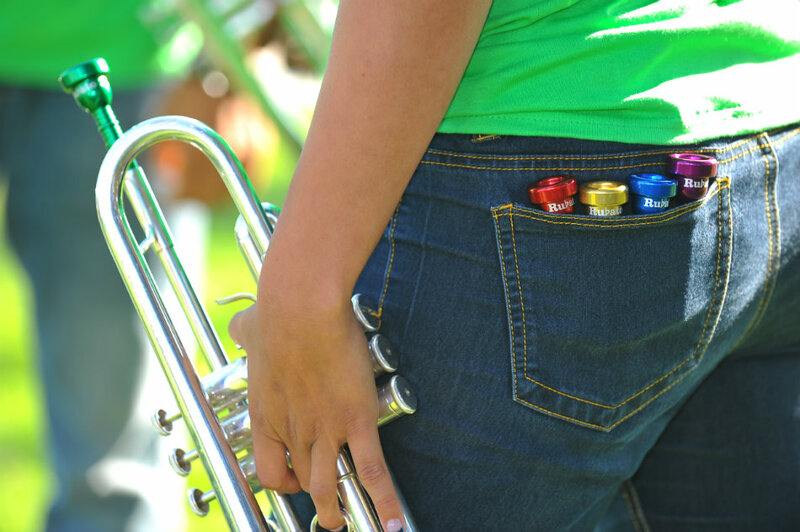 "Rubato mouthpieces really stand out - literally! The different colors let you use something that's a little different from the crowd and the material makes it both strong and lighter so you don't have to lug around quite as much weight. How can you lose?" 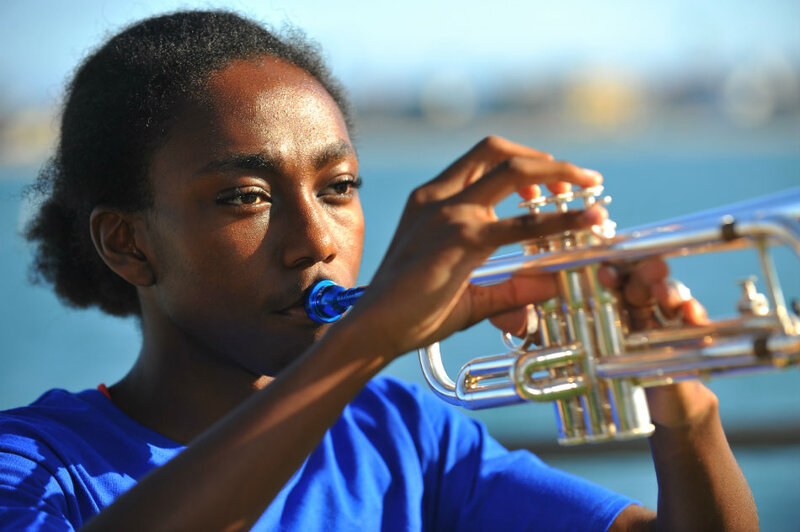 "Not only is it very stylish and lighter than air, the Rubato mouthpiece allows for a bigger sound through the horn." "I think the colors are nice and something to really make you stand out, and the mouthpiece feels easy on the lips with easy sound production." "The Rubato mouthpiece makes it easier to play a note." "I think the Rubato mouthpiece allows for the air to be more focused. It feels really nice."